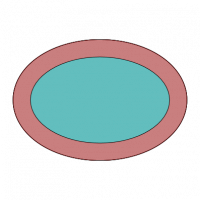 A path of constant width is built round an elliptical pool. This app lets you look at the area of the path. If the pool has equal length and width, the path is a circular annulus. What happens as the pool gets longer and thinner?